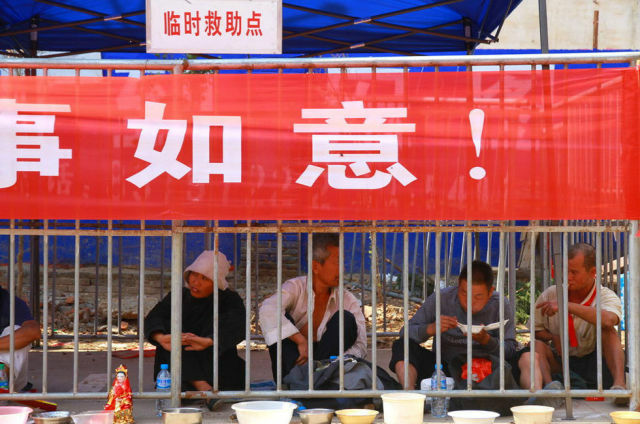 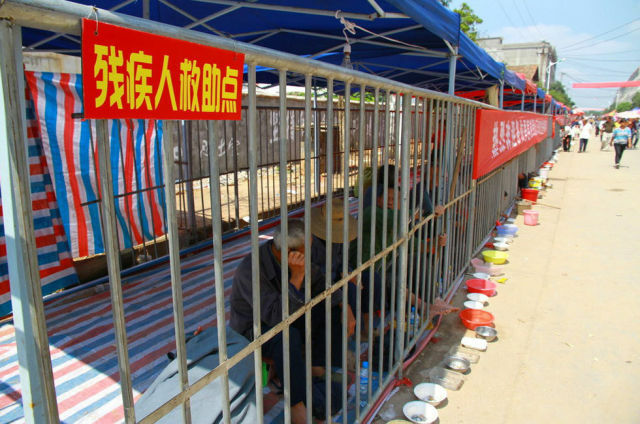 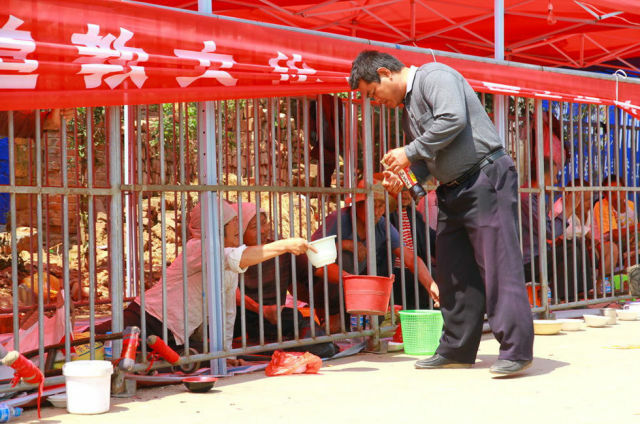 Small zoo-like cages were built at the temple fair in Nanchang, China, for beggars to sit in. 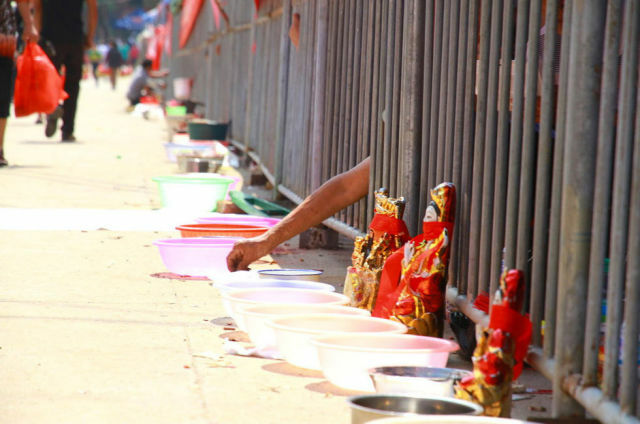 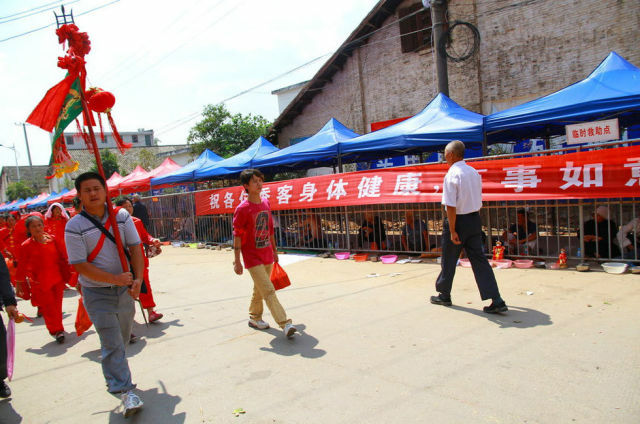 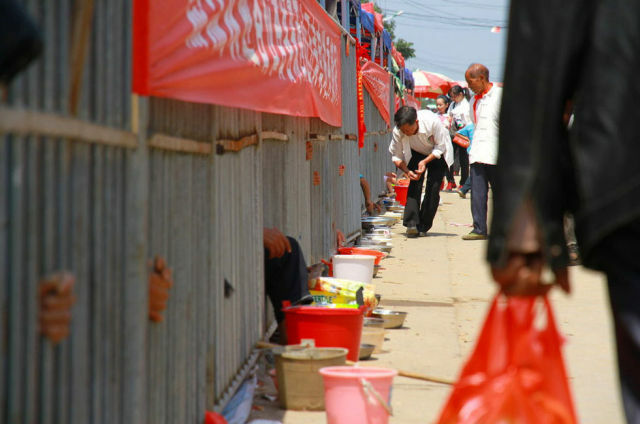 The fair attracts thousands of pilgrims annually and the organizers claim that vagrants turning up and asking for charity have become a real problem. 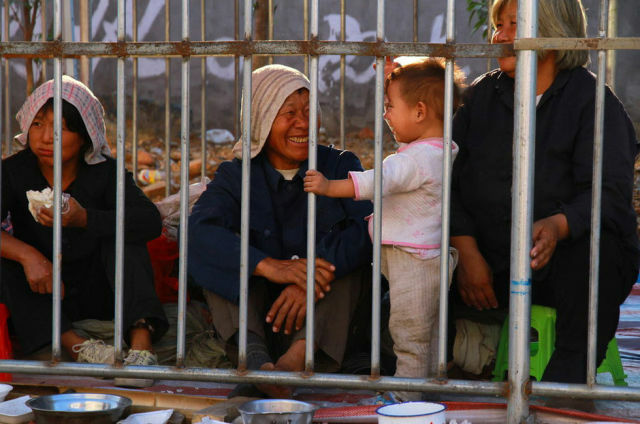 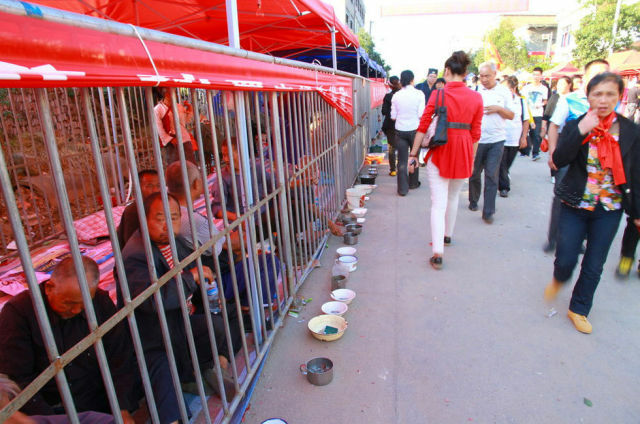 Beggars enter the cages voluntary and are free to leave them at any time, but they will be banished from the city if they do so.